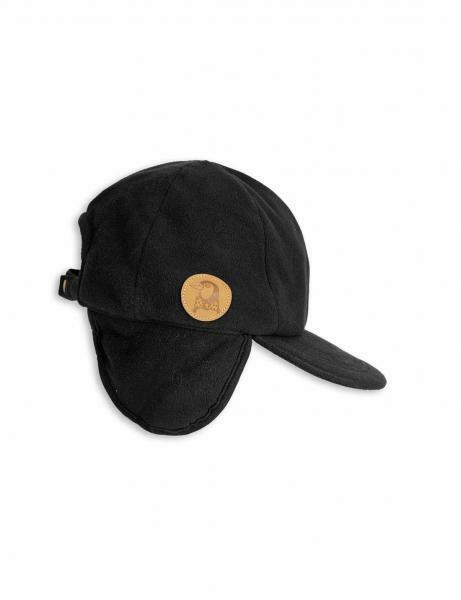 Black fleece cap with warming earflaps and a faux leather panda patch at the side. 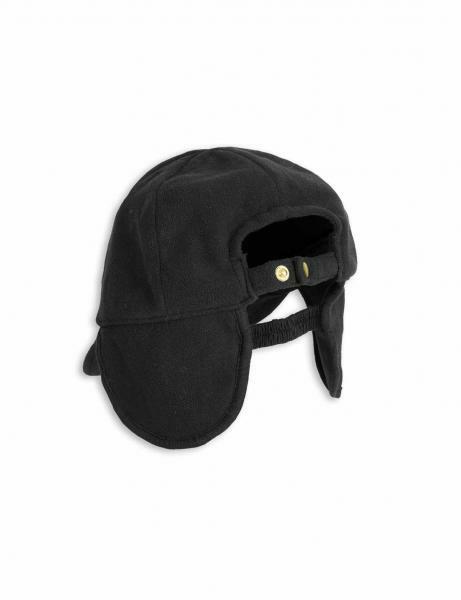 This is a soft and functional cap perfectly suitable for both fall and winter wear. The cap has elastic and an adjustable button strap at the back for a better fit. This is a returning Mini Rodini classic, made of environmentally friendly and 100 % recycled polyester. 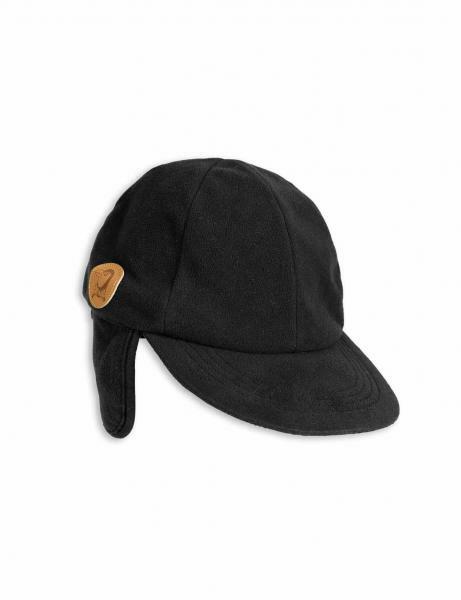 This fleece cap is GRS certified which ensures that it only contains 100 % recycled materials, for example old PET soda bottles, discarded fishnets or used clothes. GRS is the strictest certification for recycled material on the market today and include rigid controls of, among other things, chemical use, salaries and working conditions for everyone involved in the entire manufacturing process, from raw material to the final product. 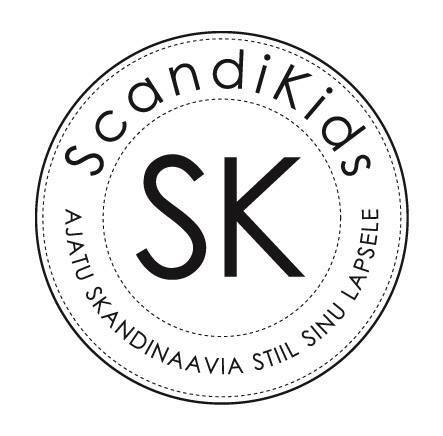 Since we are working with children’s clothes, the control of chemical use and measures taken for long-term sustainability is of the utmost importance to us. Mini Rodini has chosen to include fleece products made of 100 % recycled polyester in our range of products because the material is appreciated, practical and easy to take care of. When manufacturing fleece, using 100 % recycled polyester, there is no need to make any new materials from scratch. The fleece material is instead made from PET soda bottles, discarded old carpets and clothes, which saves our planet’s resources. Products made of fleece should however be washed sparingly. When you wash fleece products, no matter if they are made of recycled materials or not, tiny microplastics are released that might be transferred into nature. • Iron your fleece products according to the care label. Ironing lays the fleece fibers down flat, which lessens the release of microplastics. • Clean your washing machine’s filter regularly to keep the filtering effective. • Hang dry your fleece products instead of using the tumble dryer. This helps us to take care of the environment.